Not everything in life comes easily – you have to have the grit to follow your dream if matters to you, and push through setbacks. 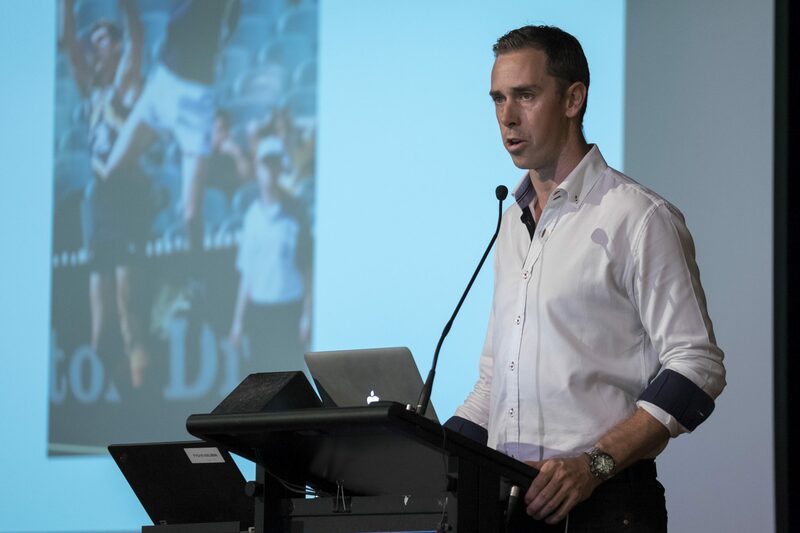 Former Collingwood FC Captain Nick Maxwell delivered this message to all Year 7 to 12 boys at a special assembly this week. Drawing on anecdotes from his own life, Nick used humour and honesty to masterfully inspire all in attendance. The boys were surprised to learn that this high-profile 208-game premiership player ‘almost’ made it into an AFL squad not once, not twice but five times before he was actually successful. Yes, Nick was rejected five seasons in a row – but he kept going. Nick challenged the boys to find a goal, work out how they will achieve it, and to find the courage to achieve it. And he reminded them to focus on the things they could control. Having inspirational, determined and resilient men such as Nick speak to the boys is another layer of the ongoing program of building the high-performance, academic culture at BGS.